At Brandon Valley School District in South Dakota, members of the district’s wellness council noticed that students were bringing snacks to school that didn’t align with the district’s commitment to nutrition. However, some students boarded the bus as early as 7 a.m. and didn’t eat lunch until 12:30 p.m., which council members agreed was too long for students to forego nourishment. What could they do to ensure students were getting the nutrition they needed to focus in the classroom? National Nutrition Advisor Stephanie Joyce works with schools enrolled in the Alliance’s Healthy Schools Program to find innovative solutions to their nutrition challenges. Stephanie joined one of the district’s wellness council meetings at the beginning of the 2014–15 school year and suggested a new approach. 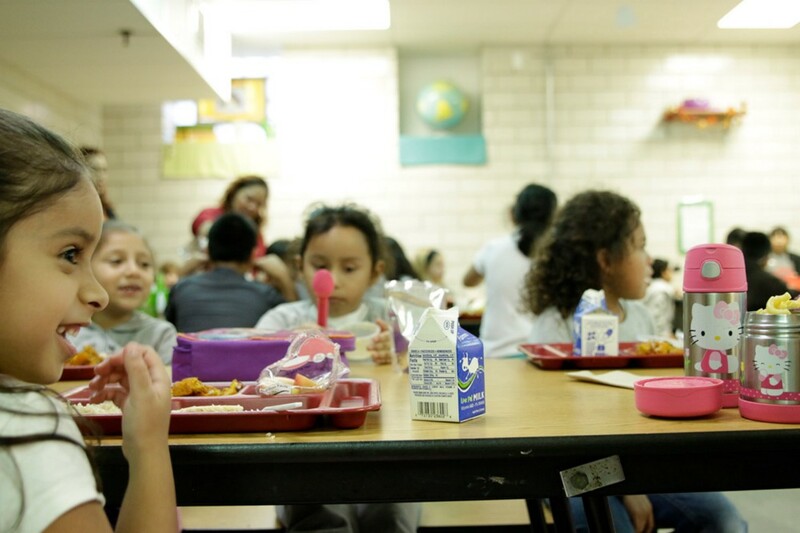 An innovative strategy, called second chance breakfast, allows students to get the fuel they need to start the day, as long as it comes from the district’s nutrition department and aligns with national nutrition standards. Starting at the beginning of the next semester, Child Nutrition Director Gay Anderson and her staff began piloting second chance breakfast at the district’s largest elementary school, Brandon Elementary. Quickly, Gay could see that the pilot was successful and her staff worked to expand the program to four more campuses, starting the following school year. “We went from serving about 225 breakfasts per day to just shy of 700,” she said. “Sometimes a child just isn’t ready to eat first thing in the morning and sometimes with the morning rush, there is no time to grab a bite,” said Gay, noting that this strategy also helped to resolve those problems. Not only did Brandon Valley nutrition staff see participation numbers increase, they also heard about behavioral changes among students. “The benefits matched all of the data we had read about,” said Gay. “We saw fewer visits to the nurse’s office and the principal’s office, and several of teachers noticed students’ improved focus throughout the morning.” With results like these, Brandon Valley students can look forward to continuing to start the day with a balanced meal at school, and Gay hopes to expand the second chance breakfast program to two other schools.